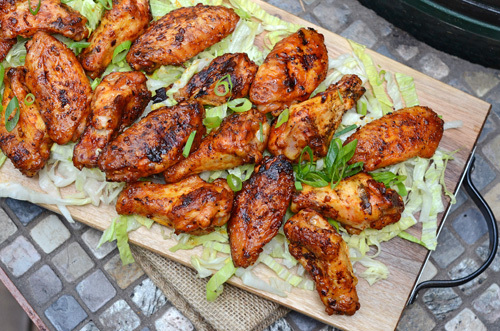 We grill a lot of chicken wings at our house. We grill them indirect. We grill them direct. We grill them with commercial rubs and sauces. We grill them with homemade rubs and sauces. We are equal opportunity wingers. This is the basic wing rub that we have come to use. It provides a medium spicy-heat level and works with a variety of sauce flavor profiles. If you like it hotter, up the chipotle and red pepper flake. If you want mild, drop the quantity of the same two. Mix ingredients together and store in an airtight container until needed. This yields enough for 24 wing pieces. In addition to the flavor, I think this rub adds a nice texture because of the dried garlic, onion, and red pepper flakes. 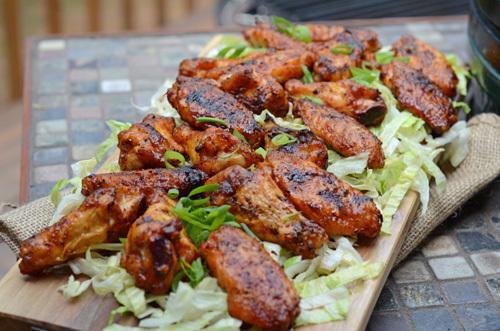 It is good to let the rub sit on the wings for 30 to 45 minutes so the juices rehydrate the seasonings before going on the grill. 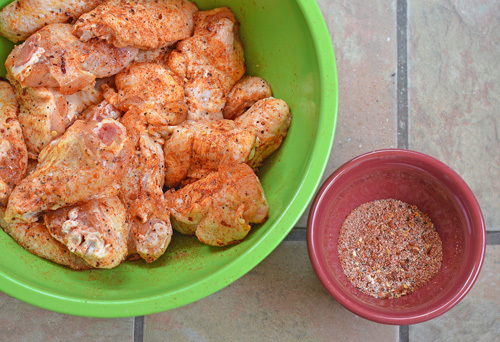 This particular batch my NMT Wing Rub and I sauced the wings with Blackwoods Garlic & Parmesan wing sauce. Combined, they were spicy but still had a great flavor, not just heat.